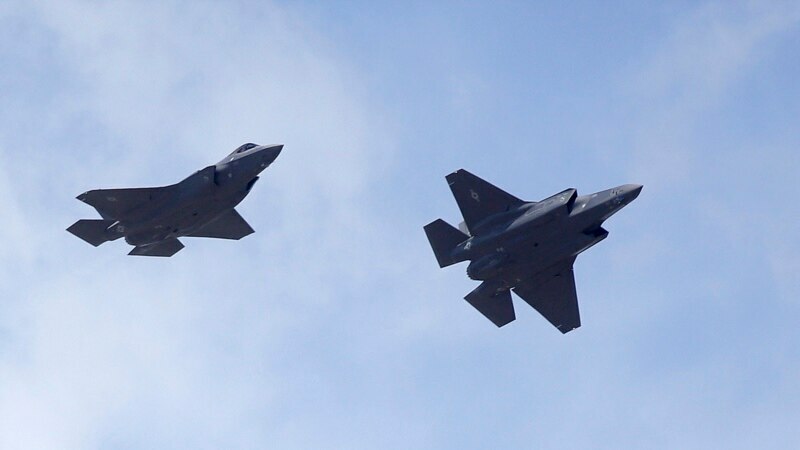 U.S. Defense Secretary Ash Carter visited Israel Monday to help celebrate the arrival of the country's first two next-generation F-35 fighter planes built by U.S. firm Lockheed Martin. Israel is among several countries that have ordered the jets and has plans to buy 50 of them. Carter was welcomed by Israeli Defense Minister Avigdor Lieberman at an air force base in Tel Aviv.